The proposals would also grant Sisi more power over the judiciary and the military more control over the state. Egypt’s army played a pivotal role in the 2011 revolution that toppled Hosni Mubarak and in the 2013 coup against his successor Mohamed Morsy. 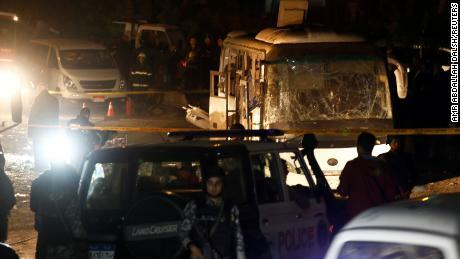 Supporters of the changes say they will bring stability to Egypt’s economy, which is struggling to recover from the political turmoil of recent years, along with bolstering security amid an ongoing deadly Islamist insurgency. But opponents of the proposals described them as a further step toward authoritarianism. The 26-page draft proposal of 22 constitutional amendments will need to go to committee then be voted on by the full parliament before a national referendum can take place, Egyptian state media Ahram Online reported. Currently the constitution allows for only two terms of four years each. If approved, the amendments would reset the clock for Sisi, whose second term ends in 2022, and allow him to run for two more terms. 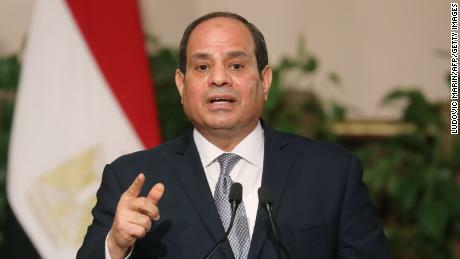 “Egypt is in a state of anticipation and questioning due to the mystery surrounding the amendments made by a fifth of the parliament members on some parts of the constitution,” he tweeted. “It’s dangerous for anticipation and questioning to develop into a negative state across the country; this might have undesirable consequences”. Even if the amendments reach a national referendum, it’s unlikely to be free or fair, according to Timothy Kaldas, a non-resident fellow at the Tahrir Institute for Middle East Policy. “Undoubtedly the ongoing campaign of repression of government critics and civil society is meant to deter anyone who would dare try to mobilize a campaign for a ‘no’ vote,” Kaldas told CNN. Sisi won both previous presidential elections in landslides, garnering more than 90% of the vote each time. During the 2018 election, all of the high-profile candidates dropped out of the race after facing intimidation, obstruction and, in one case, arrest. Sisi has previously said he has no intention of being Egypt’s president for life. If the amendments are approved, Egyptian officials told Ahram Online that the constitutional referendum would likely take place before the beginning of the fasting month of Ramadan in May.